2 major brand workstations and also our High-Performance Workstation ANIMATE-X3 Ultra optimized for 4K video workflows. The price for our comprehensive example configuration was situated in between the two competitors, not bad taking into consideration we added a high-end SSD-Raid option consisting of 8 enterprise class SSDs connected to a dedicated hardware raid controller (1.6TB SSD raid capacity, data rate up to 3.4GB/s). The tests clearly stated that our comprehensive silent concept came out on top, the ANIMATE-X3 Ultra is by all standards the quietest system of all (GPU full load noise measurements resulted quite similar among the competitors due to the fact that identical Quadro K5200 High-End graphics accelerator were used). The two competitors submitted a 2x10 core and a 2x14 core system. 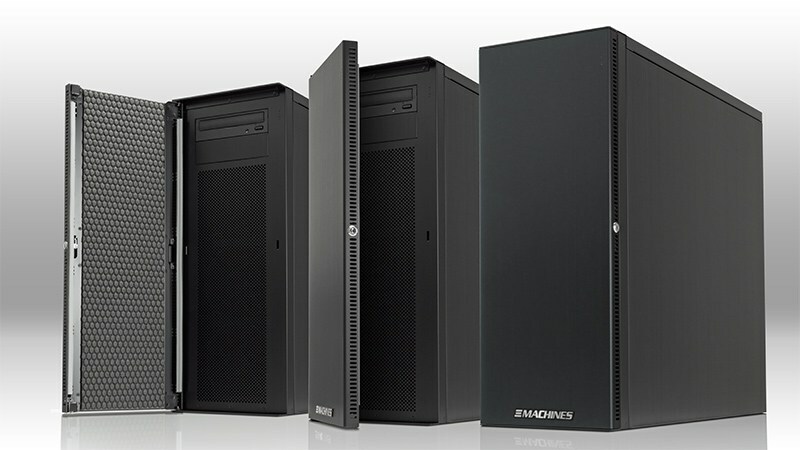 Equipped with 2x12 core Xeon CPUs, our ANIMATE-X3 ended up in between the two. Different CPU configurations can make it quite difficult to the reader to directly compare the systems, but it is clear that our workstation could compete with the more expensive 14-core system in all benchmarks — and was even able to significantly exceed it in some (see table> Performance / "Tabelle > Systemleistung" in Review). Although we understand the reviewer's concern about not pre-installing any security suites: We ship pre-configured, clean Windows installations including optimized custom configurations and drivers for the respective application. We go without bloatware / adware / spyware as well as pre-installed, trial anti-virus solutions. In the many years of experience with our enterprise customers we found that most of them require an already existing individual solution without having to uninstall software or even reinstall Windows. All others customers are advised to talk to our experts and will be recommended an appropriate security solution for the specific case. Pre-installation service is available.